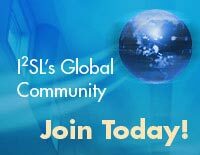 Welcome to I2SL's Global Community! Learn more about these providers, who can help you create a more sustainable high-tech facility. Learn how you can add your organization to I2SL's Global Community. For more than 70 years Consolidated Sterilizer Systems has been recognized as an innovator and technical resource in the steam sterilizer industry. We enjoy helping architects, building designers, and lab planners outfit their buildings with the greenest laboratory autoclaves possible. Not only do we test our autoclaves to make sure that they exceed industry standards, but we also aggressively pursue design ideas that help minimize their environmental footprint. Through ongoing research and development, we continue to create and integrate new technologies (such as cloud-connectivity) into our products that are environmentally friendly and a benefit to our clients. I2SL is a non-profit organization dedicated to the development of sustainable laboratories and other high-performance facilities worldwide. Through its role as host of the I2SL Annual Conference and former cosponsor for the Laboratories for the 21st Century (Labs21®) Annual Conference and Workshops, the online Global Community and E-Library, and its working groups and international partnerships, I2SL aims to bring the community of architects, engineers, owners, and operators of high-performance facilities together to share their experiences and lessons learned in an effort to improve the sustainability of laboratories and other high-performance facilities around the globe. I2SL is willing to bring this message globally by coordinating with a local host to bring Labs21 Conferences and Workshop to your region of the world. Learn more about these exciting possibilities. Miele Professional, the commercial division of Miele Inc., manufactures top quality, high performance cleaning equipment, including laboratory glassware washers, laundry systems, dishwashers and medical and dental washer-disinfectors. With Miele, no product detail is overlooked. From engineering and program design, to build quality, to performance and innovation, Miele products are tried and tested rigorously and trusted by businesses all over the world. For more than 50 years, Miele has been providing advanced glassware systems and application expertise to the pharmaceutical, food processing, petro chemical, flavor, fragrance and cosmetic industry as well as public health, government, forensic and educational laboratories. We offer a full range of sustainable laboratory glassware washers including large chamber & undercounter and provide detergents. Miele also offers application expertise and a five year limited warranty through its System4Lab program. The new Flex Series washers– with variable speed pump technology – lead the industry in water consumption – utilizing just 2.4 gpf. Our Washers are factory rated to last 15,000 operating hours which translates into 15 years, if the washer is used 5 hours per day/five days per week). Perkins+Will is a global interdisciplinary architecure and design firm founded on the belief that design has the power to transform lives and enhance society. With a staff of 1,500 in 22 locations worldwide, the firm serves clients across a broad range of project types and grounds its work in deep research. With the largest green building portfolio in North America, nearly 1,000 LEED® Accredited Professionals, and a commitment of the 2030 Challenge, Perkins+Will is recognized as one of the industry's preeminent sustainable design firms. We help scientists meet the challenges they face in the lab or in the field every day. Our high-end analytical instruments, laboratory equipment, software, services, consumables and reagents help our customers solve complex analytical challenges, improve patient diagnostics and increase laboratory productivity. WALDNER Laboreinrichtungen GmbH & Co. KG is an enterprise of the WALDNER family of companies, which employs approximately 1,100 people worldwide and has been present in the market for more than 60 years. WALDNER puts worldwide individual laboratory requirements into practice, with the mission to contribute to customers' and users' needs by presenting them with the most effective solutions. WALDNER laboratory solutions are state of the art, innovative, and of superior quality, meeting the highest standards in quality, energy efficiencies and savings, life time, and functionality. WALDNER's people are recognized experts in what they do and set industry standards by collaborating with an international partner network. At WALDNER, the culture is customer and execution focused, and facilitates the entrepreneurial collaboration of a global customer and partner network. Listings in the Global Community are not endorsed by I2SL. I2SL Provider organizations have agreed that they are capable of providing products and services consistent with I2SL's mission and will place a designated Provider identifier on marketing materials whenever possible to show commitment to advancing sustainable laboratories globally. The Global Community is not an exhaustive list of resources and will be continuously updated with new organizations. I2SL cannot be held liable for the actions of the organizations listed, the contents of the referenced websites, or the inclusion and/or omission of organizations and/or websites in this list.